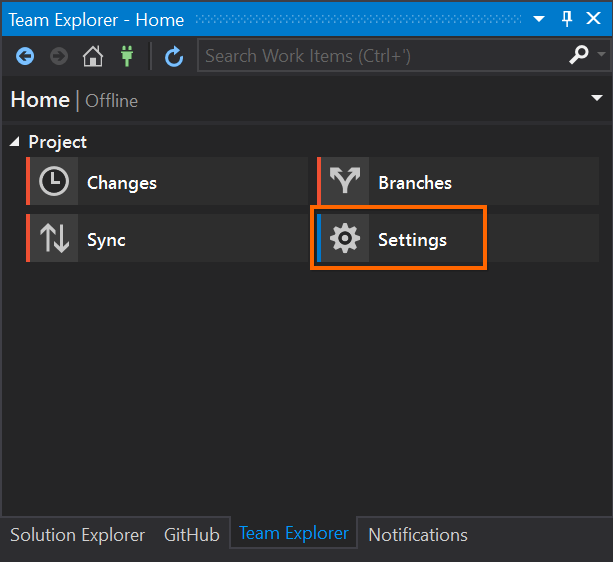 Well now with Visual Studio 2017 Update 5 you can now configure your global and repository settings to prune your local list of branches on every fetch. Let’s take a look at how you can configure this. 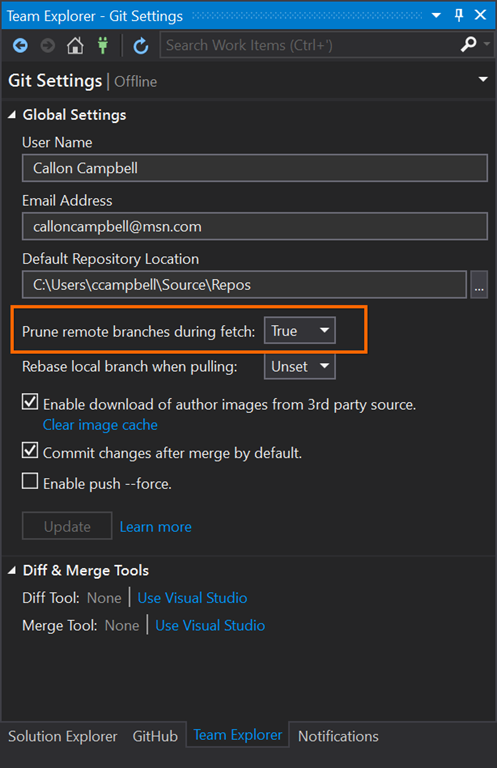 Now you can change the setting to prune remote branches on every fetch. In my opinion this should be the default value. Another nice addition to the Git settings in Visual Studio 2017 Update 5 is the ability to Rebase your changes when you pull. I’ll explore that in a future post. In summary when enabling the prune on every fetch, this means your local list of branches is always up-to-date with the remote. Pruning will cleanup and remove your local tracking branches that no longer exist on the server.